$10 Off 18 Holes of Golf. 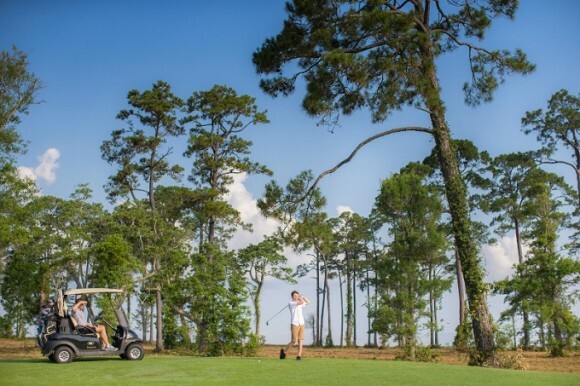 The Peninsula Golf and Racquet Club provides the perfect blend of southern hospitality and championship golf in Gulf Shores, Alabama. Rated 4 ½ stars by Golf Digest and selected as one of the “most memorable and enjoyable” courses in the southeast, Peninsula provides a golfing experience that is rivaled by few. Three nine-hole courses – Marsh, Lakes and Cypress – are distinct and create different challenges each time a golfer plays. Designed by the renowned southern favorite, Earl Stone, the 27-hole golf course boasts 7,026 yards from the championship tees and delivers a playable and enjoyable layout for golfers of all skill levels.